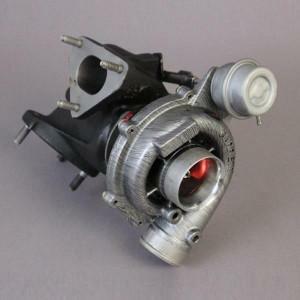 Direct Replacement Hybrid Turbo for the TD5 engined Land Rovers. (No turbo exchange required). Free Boost Control Box Included! The kit is supplied complete with all gaskets required to complete the installation. Also supplied is a turbo boost control unit, if you already have one please let us know and we will give you a reduced price! To get the best from the turbo it is beneficial to use a specific map but improvements in driveability will be seen with any map or even standard tuning. We strongly recommend an uprated intercooler is installed prior to fitting an uprated turbo. As this is an non-standard turbo, Turbo Technics offer a limited warranty of 3 months. Full terms available on request.